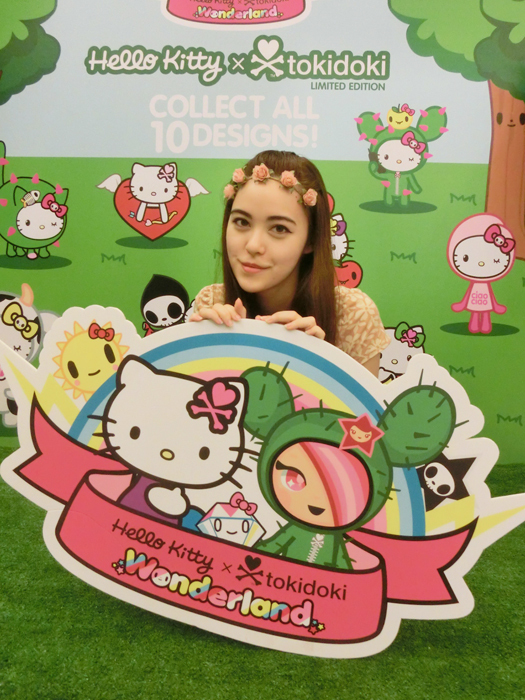 Went for the launch of the Hello Kitty x tokidoki collaboration the other day! 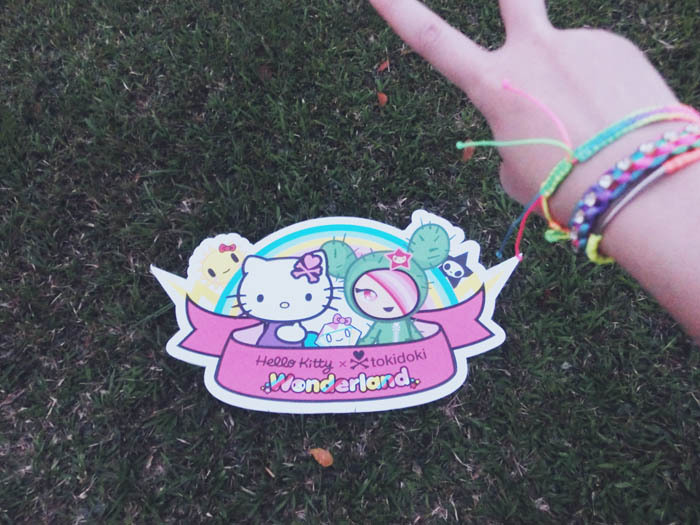 I was quite excited about it because both Hello Kitty & tokidoki are super cute! 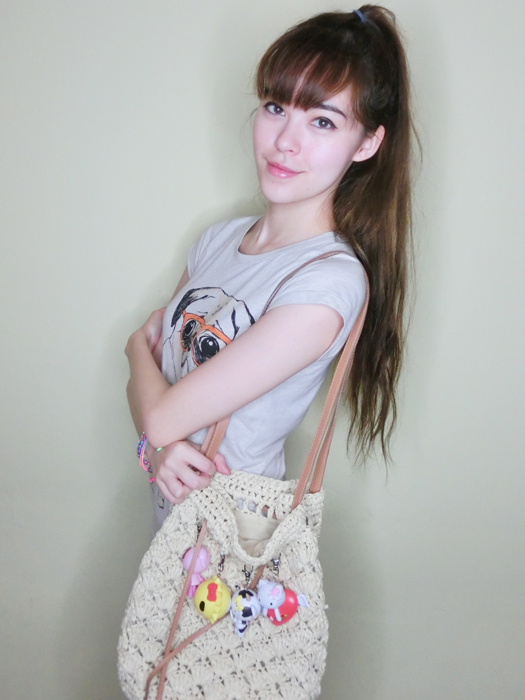 I'm sure Hello Kitty needs no introduction but some of you may not know of tokidoki yet, so read on! This collaboration is proudly helmed by 7-Eleven & we gathered at an events area in one of their outlets! 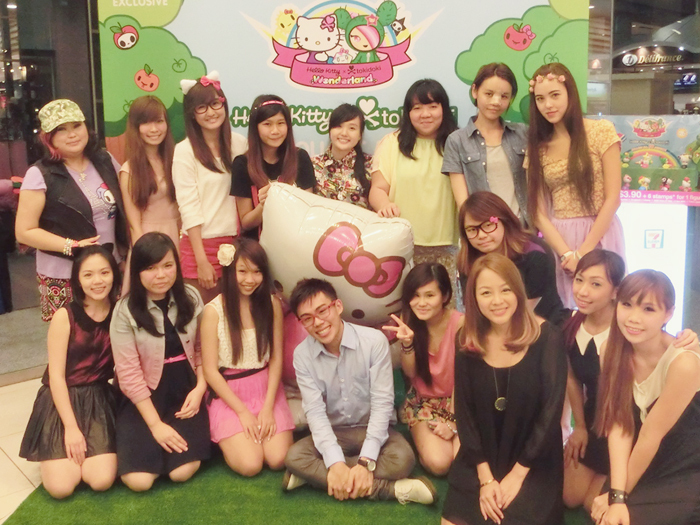 Giant Hello Kitty balloon that everyone took photos with! See the cute Hello Kitty figurines in the background? It's basically Hello Kitty dressed up in tokidoki style! Got to help ourselves to food & drinks at 7-Eleven! Haha super fun feeling to just pick whatever we wanted off the shelves. 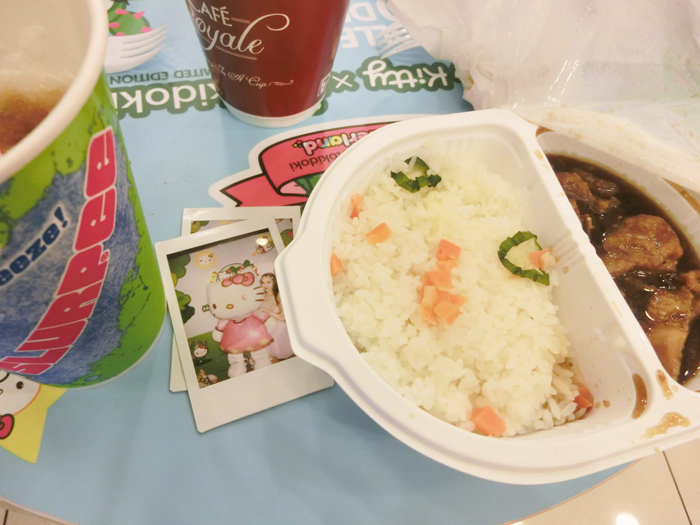 I had my favourite Coke slurpee & tried their ready-made Teriyaki Chicken with rice! 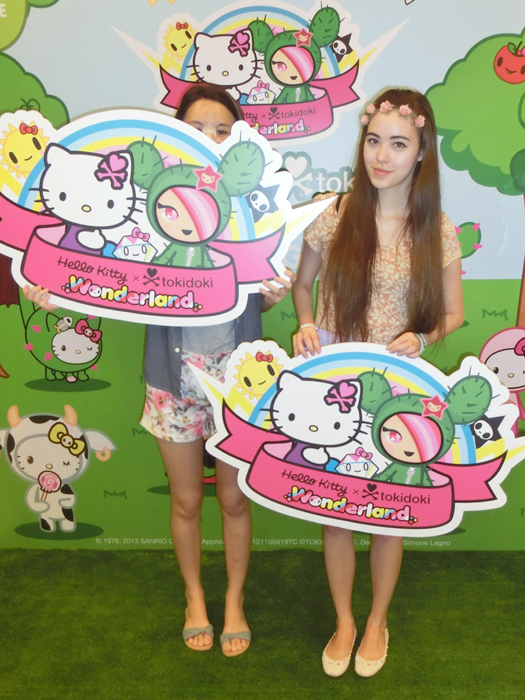 Tables & benches decorated with Hello Kitty x tokidoki! With the other Nuffnang bloggers involved in the campaign & the G+ bloggers! Spot Qiuting & her nose splint haha. She couldn't take much photos of herself that day. With the other Nuffnang bloggers - Esther, Nadia, Yina & Qiuting - & the 7-Eleven client! Haha they had these cute cutouts made for the event & I asked if I could keep it & they said YES! Super cute! Can't wait to hang it up in my room; will show you guys when I do so. And it's quite big... LOL. Was walking around near town after that with this tucked under my arm. Qiuting took the other one so we took a picture together! Told her to use her cutout to cover her face hahahaha. 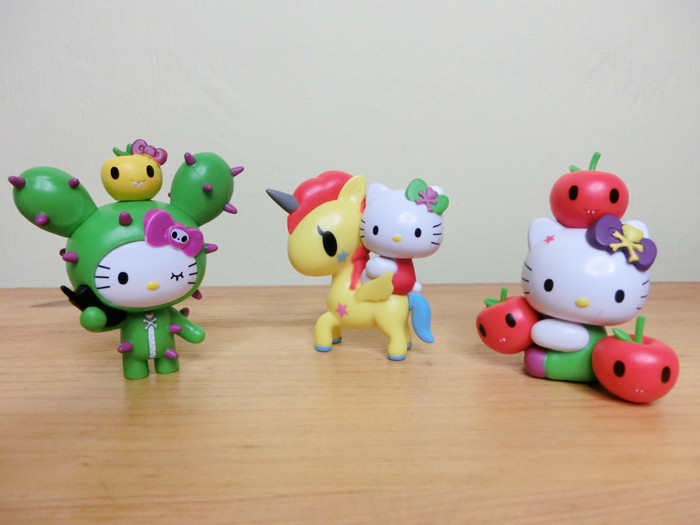 And to show you guys the actual Hello Kitty x tokidoki figurines! Because that's what this post is about LOL. 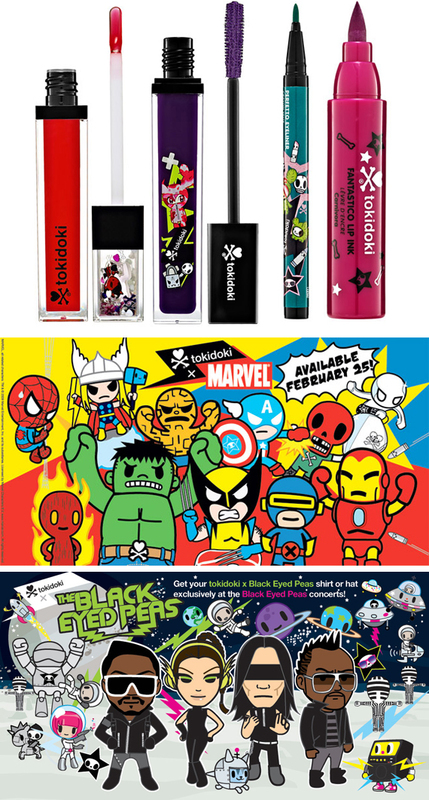 "Tokidoki"means "sometimes" in Japanese & was created by graphic artist Simone Legno! I love his designs I think they're super cute! 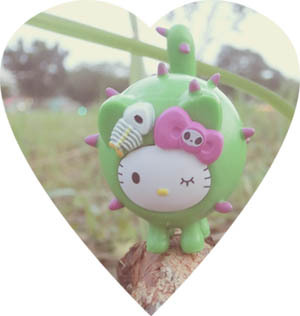 And below is the tokidoki unicorn x Hello Kitty version for the 7-Eleven collaboration! 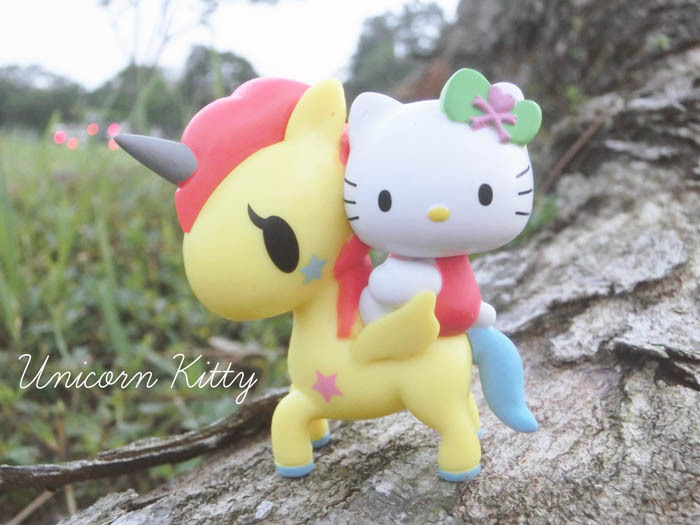 Hello Kitty riding the unicorn! 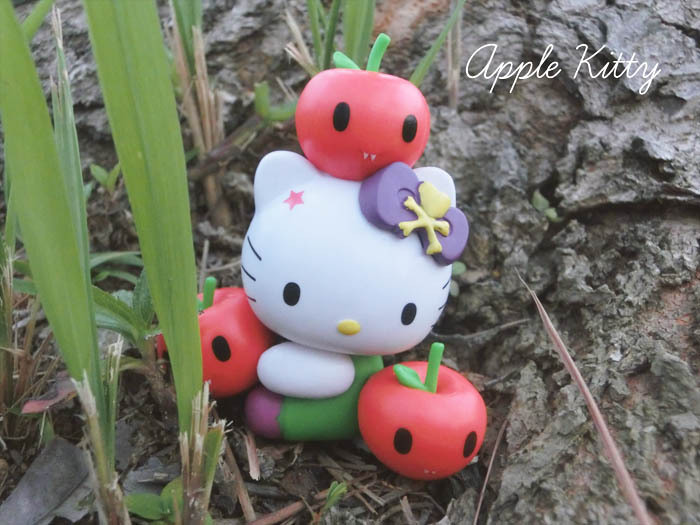 Remember how they say that Hello Kitty is 3 apples tall? Haha quite a smart reference here. 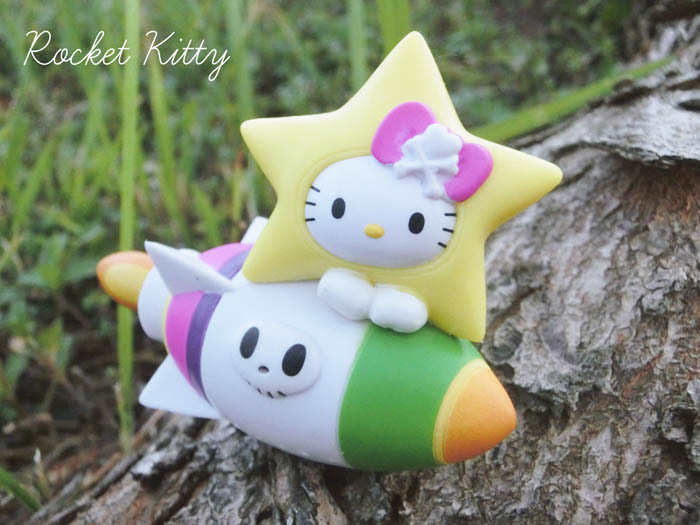 Hello Kitty as a star riding a rocket! 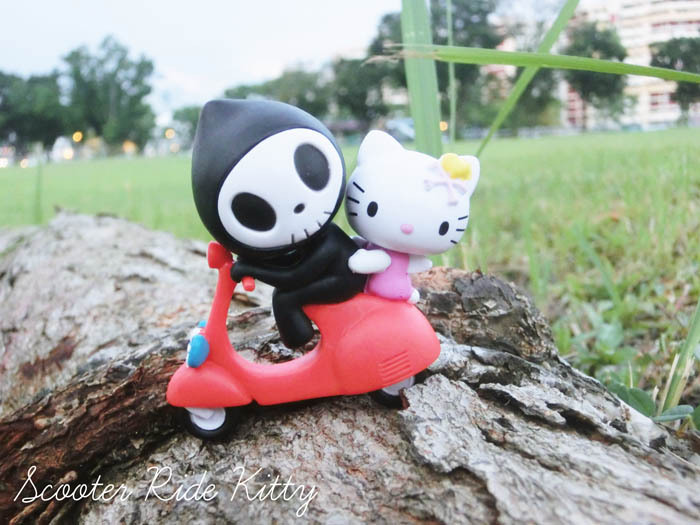 ~ Riding off for an adventure ~ I think Hello Kitty quite suits the badass crossbones! Catcus Kitty on her cellphone! 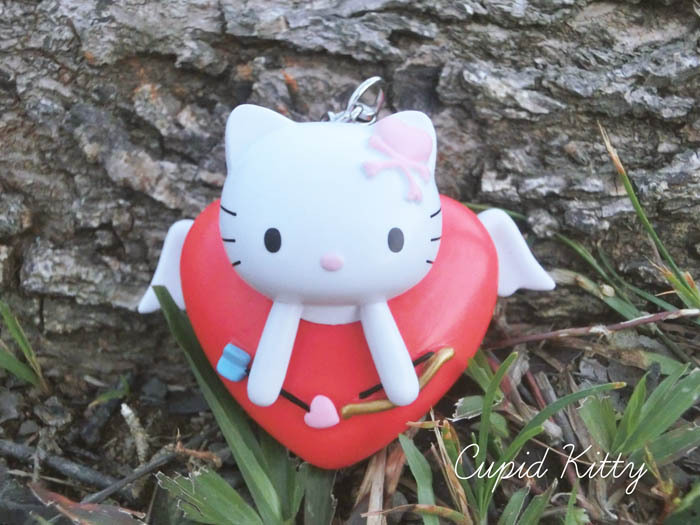 Hello Kitty as cupid! This one can be hung as a keychain! This one is my favorite! 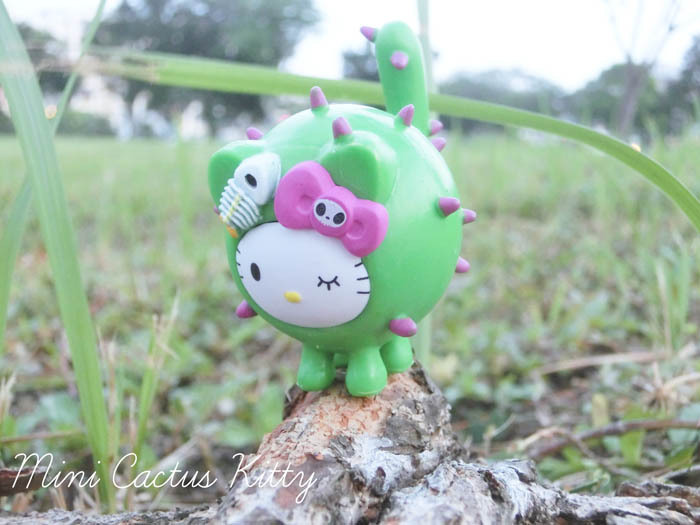 Super cute mini version of the Cactus Kitty! 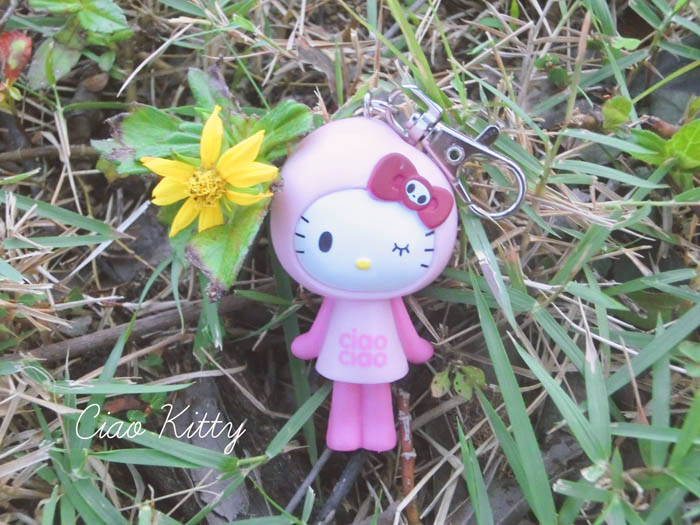 A girlier Ciao Kitty keychain for you? 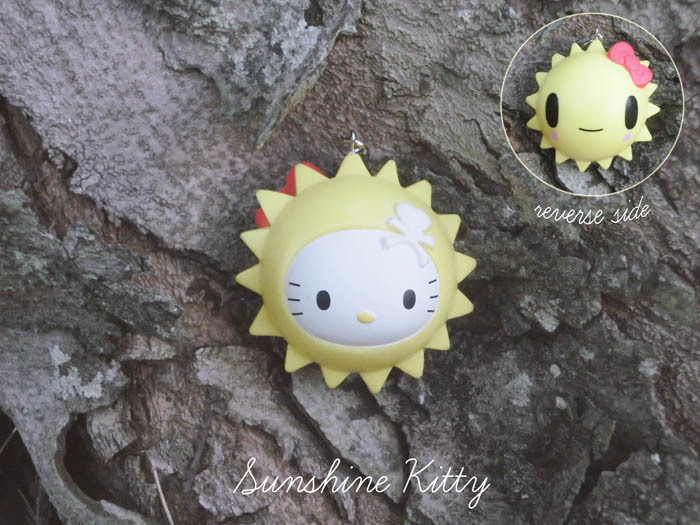 This Sunshine Kitty is pretty unique because it has 2 sides to it! 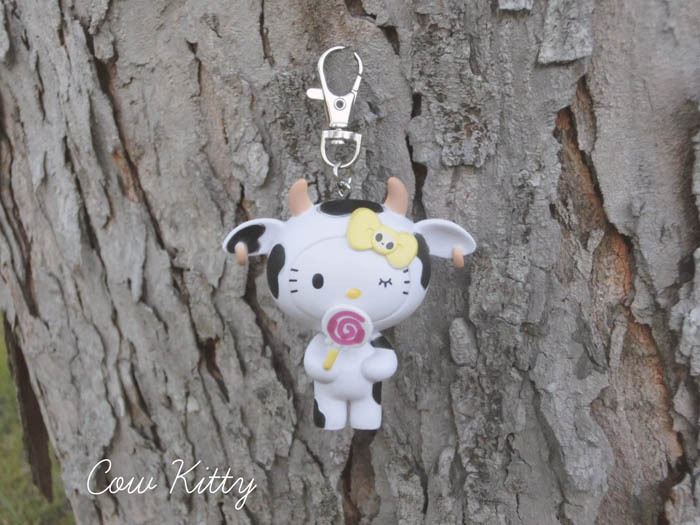 And last but not least... a very cute Cow Kitty keychain! Here are the 4 figurines that can be hung as keychains! Up to you if you wanna hang all lah... lol. 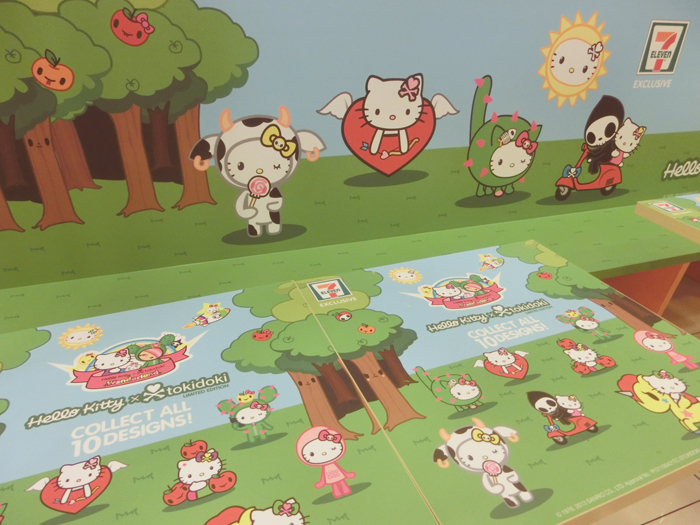 Ciao Kitty, Sunshine Kitty, Cow Kitty & Cupid Kitty! These 3 have a special base that allow them to stand! Look at how Mini Cactus Kitty has a milk bowl! These 3 can stand on their own without needing a base! I like these 3! 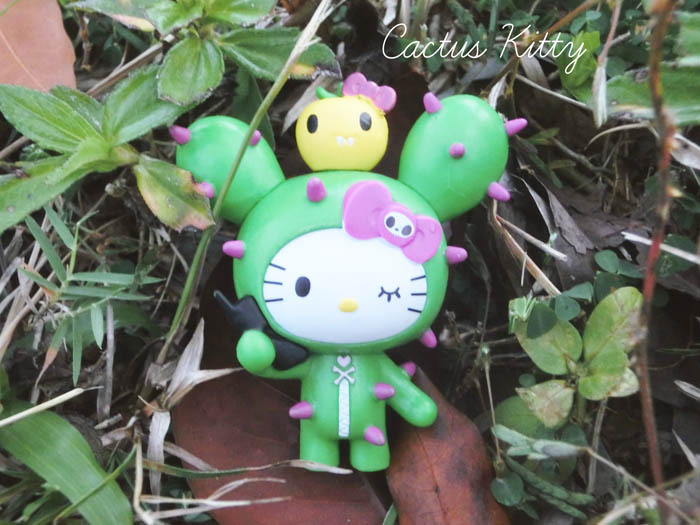 Cow Kitty, Mini Cactus Kitty & Ciao Kitty. 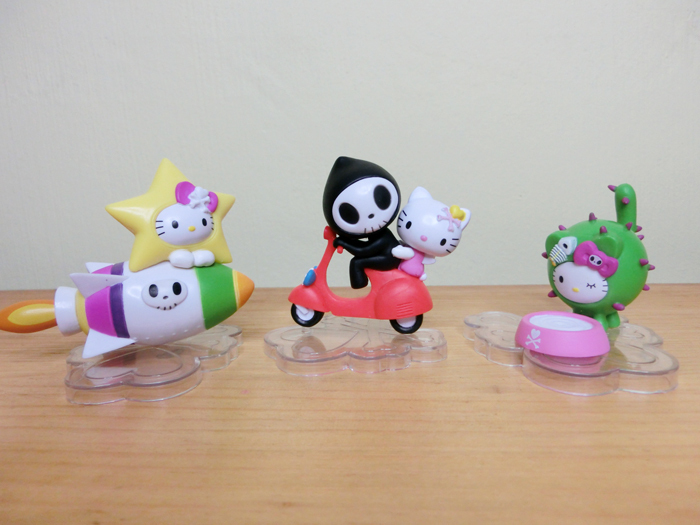 Enough of introducing them, now here's how to get the Hello Kitty x tokidoki figurines! Each figurine is sold in a blind pack at any & all 7-Eleven stores! 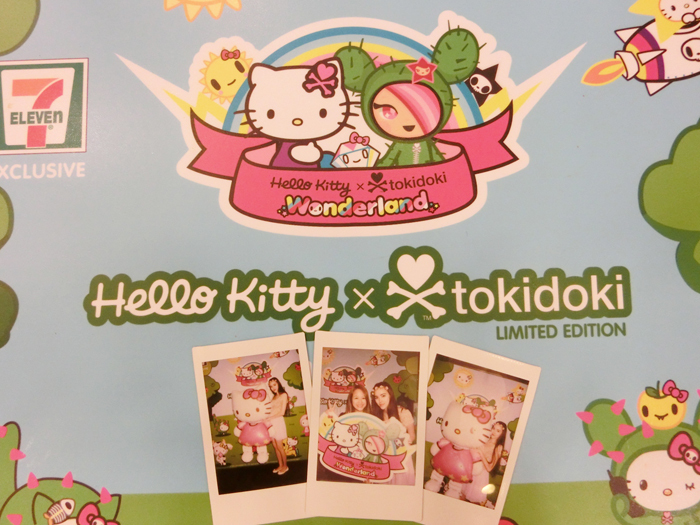 This means that you can be surprised with ANY of the 10 Hello Kitty x tokidoki figures! It's super easy to end up spending above $4 with each visit to 7-Eleven! And watch out for these star products because they will let you collect stamps faster! When you buy star products, you get 1 extra stamp with every $4 spent instead! There are a total of 12 prizes to be won! My favourite Mini Cactus Kitty says bye! 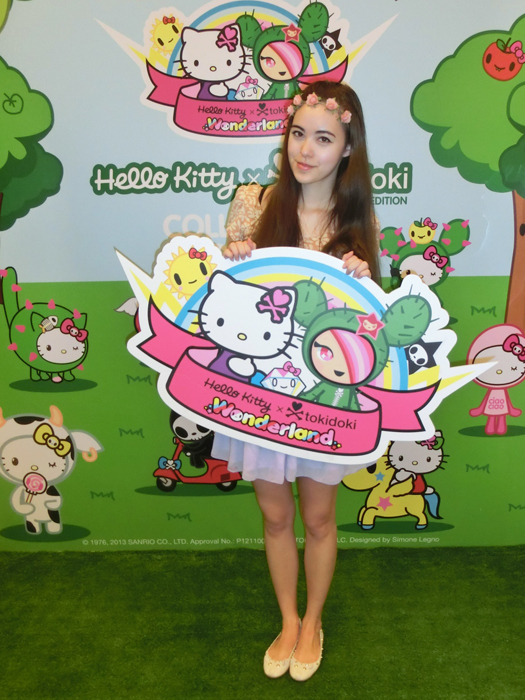 7 comments on "Hello Kitty x tokidoki"
Am I having a deja vu? Thought I saw this exact same post a days before 10 apr. Hi Babe, where did you get your bag? Its super nice! Haha I don't have extra but you can have mine! Email me :) No need to pay lah.